Last week the Giants suffered a tough luck loss via a last-second 63 yard field goal from Panthers kicker Graham Gano. That leaves New York with a 1-4 record, which is devastating when you consider that that’s tied for the worst record in the league, but encouraging when you realize that they’re only a game and a half behind Washington for first place in the NFC East. Sandwiched between those teams (wit some onions and whiz) are the defending Super Bowl champions and the Giants’ Week 6 opponent, the Philadelphia Eagles. Philly is 2-3 and look to be suffering the dreaded, and cliched, Super Bowl hangover. But let’s face facts, hangovers don’t last eight months. It’s time we addressed the obvious, the Eagles have a drinking problem. And trying to go out there and perform every Sunday when you’re hungover is just not going to produce positive results. Luckily for them this game is on a Thursday night, so if they can resist getting so loaded on Wednesday that they’re still feeling it at 8:20p the next day they have a decent shot at winning. Chim chim Cher-ee! It’s that time of year again i’tis i’tis. Time for another round of jolly ol’ American, pigskin football in London! And in keeping with tradition each player’s helmet will be swapped out with a bowler cap for the occasion. It makes the game a might bit more dangerous, certainly, but it adds the touch of class that this boorish brute-fest so sorely needs. 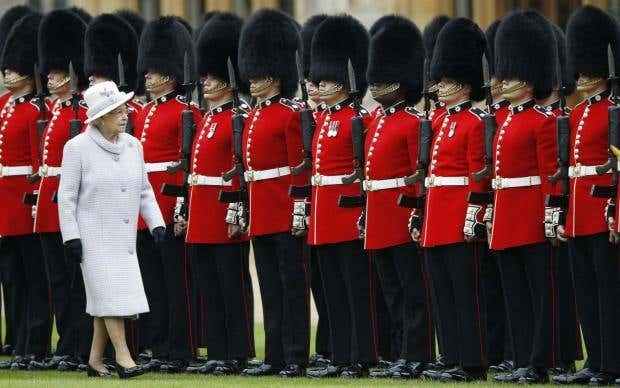 And in a new wrinkle this season the normal NFL referees will be replaced with the Queen’s guard, who will be spaced out evenly along the sidelines and end zones since they’re forbidden from leaving their post and running around the field would violate that. As a result, there likely won’t be a lot of penalties noticed from such distances, and if a flag is thrown don’t expect much of an explanation. But indeed a rollicking time will be had by all! Frabjous day, callooh callay! The Bucs were on a bye last week, so we missed out on our weekly Ryan Fitzpatrick MVP status check. Let's make-up for that: Is Ryan Fitzpatrick the MVP of the NFL right now? Sadly, I have to say that he’s not, and if I’m being honest his stock is trending downward. He was benched at halftime of a Week 4 48-10 loss at Chicago. It has since been announced that Jameis Winston will be back at starter for at least this game, and likely going forward. It will be tough for Fitzpatrick to maintain a healthy MVP campaign from the bench. That being said, I have little confidence that Winston will perform well enough to keep Fitz on said bench, meaning that in due time the Ryan Fitzpatrick MVP status check will be relevant again. Until then however, I’m forced to retire it, and lament the $5,000 I laid down on him winning the award. He was lighting up scoreboards! He had Tampa at 2-0! It was a sure thing! Yowza, this is definitely going to be a physical match-up. And by that, of course, I mean that each and every player participating has had their physicals and returned to their team with a signed doctor's note clearing them to play football this Fall. There was a brief lice scare with Andy Dalton, but it turned out to just be severe dandruff. The Bengals come into this game at 4-1 and have an opportunity to take a stranglehold on the division with a win. To do so they’ll have to make sure that Vontaze Burfict doesn’t literally put a stranglehold on any Steelers during the game. If Cincy can keep their heads (and most of their other body parts) I think they’ll get the win. The Browns could have easily had three ties in their first 5 games. We knew they were a ridiculous team coming into the season, but I can’t say we expected this kind of absurdity. It’s fitting that this week they’re facing off against the Chargers, a team that has made wackiness their stock and trade over the years. This season, however, they’ve only had one game decided by less than 10 points. This reminds me of a romcom where the former party animal, adventuresome guy (Chargers) has grown up and started living a sensible life until he meets an exciting, free-spirited, devil may care girl (Browns) who reignites a spark within him that he thought was permanently extinguished. Basically I’m saying that the Browns are the manic pixie dream girl of the NFL. As such I expect them to inspire the Chargers to reach deep within themselves and find the power to lose ridiculous games again. If I were in the Dolphins PR department (and God willing one day I will be) I would propose a jersey exchange for this game in which any Bears or Dolphins fan with an old Jay Cutler jersey can bring it to the game and swap it for a different player’s. Of course, the whole thing would be a ruse and what would really happen to any Miami fan who came to exchange their jersey is they’d have their tickets shredded and be banned from the stadium for a full season because they were stupid enough to purchase a Cutler jersey in the first place. Also we would keep the jersey. And if anybody from Chicago wanted to take us up on the offer we’d gladly hand over a #9 David Garrard from the back stock. Uh oh Vikings fans, don't look now but your worst nightmare is recurring in Minnesota, you’re being visited by a lousy team with a rookie quarterback named Josh. It’s your Achilles heel! This same scenario played out three weeks ago when the Vikings, as 17 point favorites, lost 27-6 to Josh Allen and the Buffalo Bills. It was an embarrassing effort that figures to still be lingering in the players’ heads as they prepare for Josh Rosen and the Cardinals this Sunday. I can see this going one of two ways: Either the Vikings take out all their frustration on Zona and beat them by 30, or they give up an early touchdown and become crippled by the stress of the situation causing them to go into a Baumer-esque funk that results in another shameful loss. Let’s hope for the sake of any of the Vikings’ fathers, who have money on the game, that it’s the former not the latter. The Jets can only win via blowouts. New York is 2-3 on the season, and is +49 in those wins. They’re like the Adam Dunn of teams. If they make contact they’re gonna cream it, but otherwise it’s merely a strike out. Meanwhile, the Colts can only win games via Washington. In other words they’ve only won one game this season. Which I guess would make them the Mario Mendoza of teams since they’re currently batting .200. In this analogy I suppose I’d rather be Dunn. I also suppose that picking a football game based on a baseball analogy I came up with is probably not the right move, but screw it, we’re talking about Colts/Jets here, this whole game is basically a can of corn. For years the Panthers had the NFL shield logo painted on their 50 yard line. That makes sense if you’re dealing with a shared stadium, like MetLife, but for a field with only one home team it’s a bizarre, and frankly quite lame choice. This offseason, Carolina’s new ownership made a point of finally painting the Panthers logo at midfield, and it’s already paying dividends. Last Sunday Carolina kicker Graham Gano made a 63 yard game-winning field goal as time expired. A field goal of that distance means the ball was spotted on the Carolina 47 yard line, square in the middle of the Panther logo’s neck. Is there any chance Gano makes that kick if he’s kicking off the NFL shield? I say no. He probably would’ve looked down and briefly forgotten who he was playing for. This momentary confusion would have caused him to lose focus and shank the kick. But with the appropriate logo staring back at him, Gano confidently swung his leg through and booted an awe-inspiring kick with the full power of the panther behind it. This week, however, there will be a Native American painted on the field, and Gano will be too conflicted to focus. With how these teams have been playing over the first five weeks of the season this one doesn’t look so hot. I’ll put it this way, if you walk into the Sport Clips and ask for this game to be put on, we’re gonna laugh ya out the place. Sure both of these teams were victorious last week, but the Bills won 13-12, and the Texans got by 19-16. That’s pretty lackluster stuff. If you want to get on a Sport Clips screen you need to bring the excitement, you need pizzazz, and you need to be on a local channel, because the Clips does not get Sunday Ticket. The Broncos are a lousy road team and a decent home team. Luckily for them this game is in Denver. Their luck ends there though, as they have to go up against the 5-0 Rams on Sunday. However, LA showed that they’re beatable last week, and their defense is definitely struggling at the moment. Struggling badly enough to let Case Keemun and the Broncos beat them? Well that’s another story. And the title of that story is “No, Probably Not”. It’s not a very exciting story, and about 3/4 of the way through you already know how it’s going to end. Before we go any further please familiarize yourself with the following clips: Here and here. Good god Bortles. I mean we know we’re getting a mixed bag with you but this was something else. The helmet ricochet was sloppy and unfortunate, but the pick six on the screen was next level. You could make the case that he only threw that pass because he didn’t see the defender; but then you’d be arguing that Blake Bortles didn’t see a 310 pound man wearing bright red, standing four yards from him. But the thing is, that’s the argument that makes the most sense. The other explanation is that Bortles thought the Chiefs lineman would be so confused by a ball thrown directly to him that he’d fall on his face and let the ball sail through to the running back. Regardless of what Bortles’ thought process (or lack thereof) was, the play, and most of the game was a mess. Of course this means that Blake Bortles will throw for over 300 yards in a win against Dallas this Sunday. The Ravens and Titans are coming off respective 12-9 and 13-12 losses against the Browns and the Bills. So in other words they’re both badly in need of a win this week. But just how desperate are they? Are they willing to take the life of the man in front of them? Whoa! What? No! Man you are one sick pup to even consider that. It’s just a game folks. I mean maybe if this were a late season divisional matchup or something I could envision a manslaughter or two taking place, but c’mon we’re talking Week 6 here guys. The most I could advocate for is a cleat stomp, or maybe knee clubbing with a foreign object that has been snuck on to the field. And sure, if any of these players want to utilize brass knuckles have at it, I mean that goes without saying. I just assume every player is sporting knucks to begin with. CriColl, I feel like you're making more and more sense by the week. After losing to Cardinals at home last week the 49ers have firmly established themselves as the team to beat in the NFC. Most people use that term to describe the best team in the league, or the defending champion. Not me. When I say someone is the “team to beat” that means that everyone else should beat them. It just makes more sense. It’s like when someone gets an award and says it’s a humbling experience. No it’s not, everyone’s telling you how great you are. A humbling experience would be writing a weekly blog post and having no one read it. Fortunately I have no idea what that feels like ... right guys? You’re out there, aren’t you? Anybody ...? Speaking of “weekly” blog posts, that’s a bit of a misnomer for these picks since I’ve decided that Week 7 will be my bye week. I need to rest my thumbs. See ya in Week 8 suckers!